High Desert Chamber Music presents a Master Class with Michelle Kim, Assistant Concertmaster of the New York Philharmonic. Presented in conjunction with the Oregon chapter of the American String Teachers Association, this event is free and open to the public. Master Classes are beneficial and exciting for all those involved – the student musician receives valuable insight and personalized instruction that they can apply to their studies, and the audience can learn and experience how the master’s advice improved or affected the student’s performance. Ms. Kim is a renowned soloist and chamber musician. 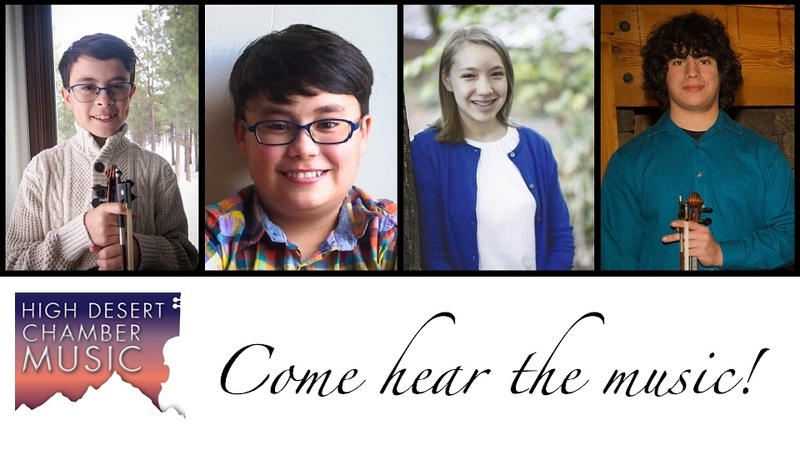 The students selected to perform include Mateo Garza, Ezra Oncken, Nicolas Oncken, and Lila Schwenfurth. They range in age from 10-18 years old, and come from the private teaching studios of Clarisse Atcherson, Kara Eubanks, and Isabelle Senger. They will be performing works by Bach, Mozart, Monti, and deFalla.